we can be no soda buddies. I'm trying to quit mountain dew for the 7,302nd time. I'm really glad I never got hooked on soda. We didn't drink it growing up and I've always just gone towards water. They say soda in excess is a huge contributor to weight gain...so you're right. Cutting it out would save a lot of calories. One of my friends has a rule of thumb that if your drink is going to have calories, it needs to also have alcohol to be worth it. 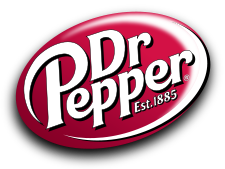 Dr. Pepper does not qualify.